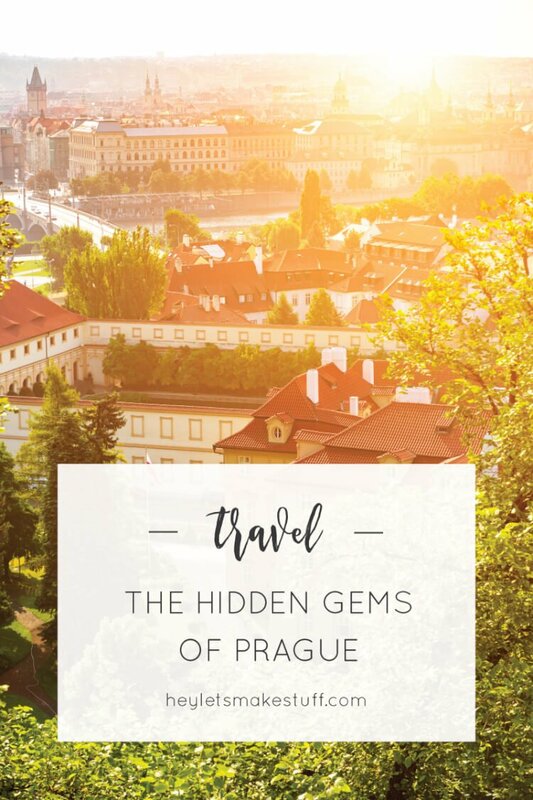 If you’ve done all the “big” stuff in Prague, here are five hidden gems of Prague that will make you fall in love with the City of a Hundred Spires all over again. 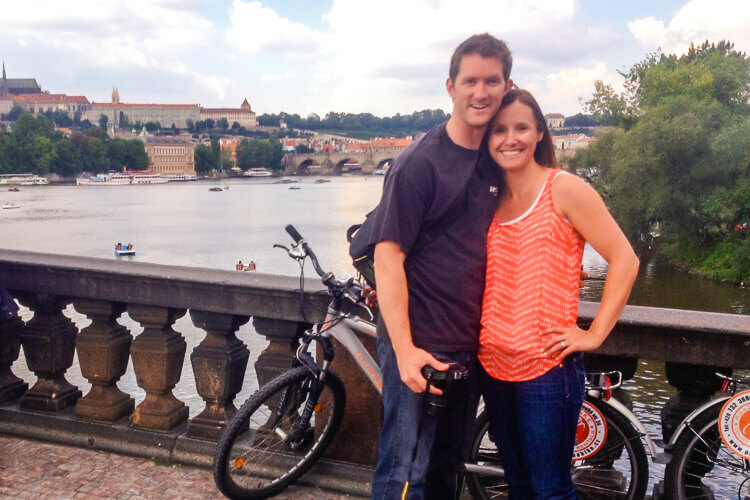 When Ryan and I went on our epic honeymoon through Europe, one of the highlights for me was Prague. What a gorgeous city! 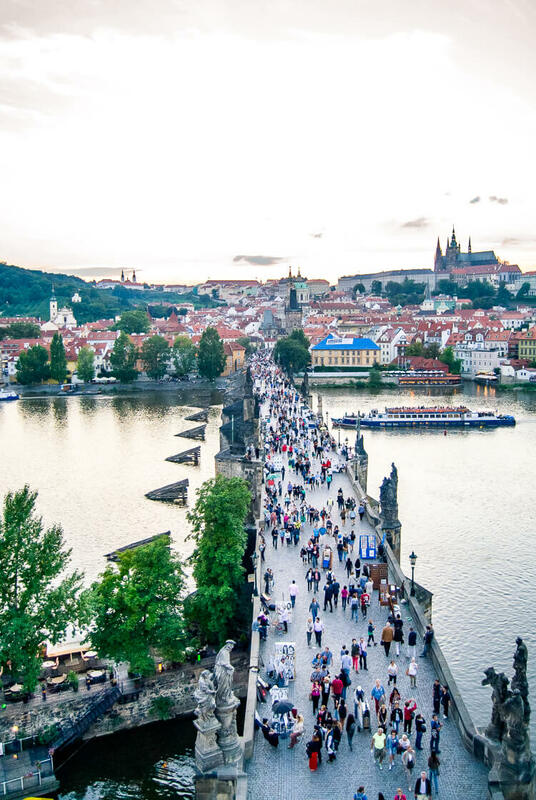 We did all the touristy things—the castle, cathedral, Charles Bridge, the Astronomical Clock—but I wanted to share a few other things we did while we were there that I thought were definite must-sees if you’re visiting this incredible city. We’ve learned that one of the best ways to see a city is by bicycle. The bicycle tour of Prague was no different. In fact, it was one of the best bike tours I’ve done and is a fantastic way to get the lay of the land in Prague. Normally bike tours are conducted on cruiser bikes, but because of Prague’s beautiful, and slightly treacherous, cobblestone streets, we were given mountain bikes. Although it’s bumpy on the cobbles, it’s a fairly flat ride and good for most people. Our guide was Vladamir, and our tour group had only five people. The six of us biked around Prague, with Vladamir not only showing us the main sights, but also telling us his favorite things about the city and showing us his secret haunts. We had a bite to eat at a beer garden along the Vltava, enjoying the absolutely perfect weather. Based on his recommendation, we also had a wonderful lunch (with our tour-mates) at Lokal, a restaurant close to the bike tour shop’s headquarters. We ended up becoming friends with the young Irish couple on our tour, and again saw them in Munich and later they stopped by our house in California on their way to Lake Tahoe. 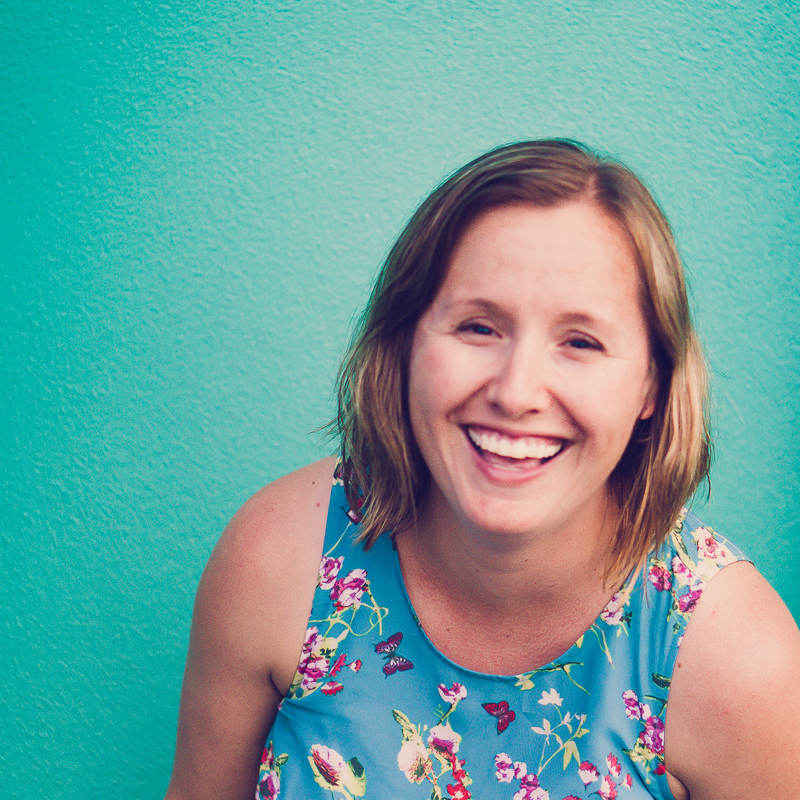 I love meeting new friends while traveling! The Jewish Quarter is a very popular destination for travelers, but the part that stuck out to me the most was Pinkas Synagogue. Like any traveler, I’ve been to a lot of memorials, but Pinkas Synagogue is the most sobering and moving. 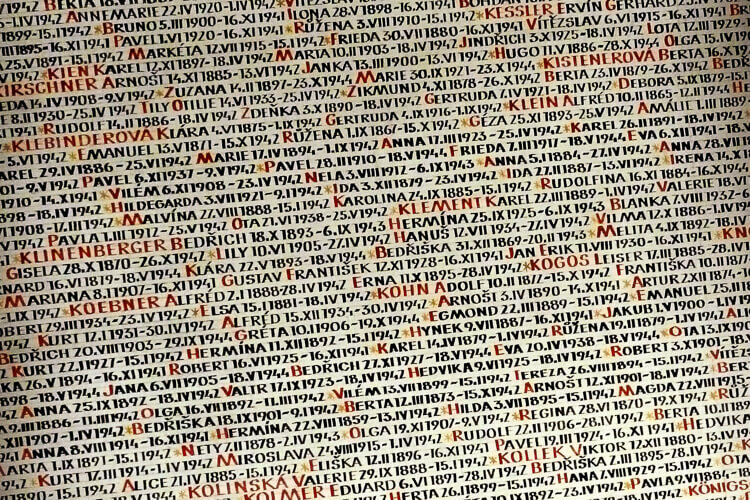 It’s a fairly plan building, but inside, on almost every wall, are written the names of the victims of the Holocaust from what is now the Czech Republic. It’s absolutely staggering that these are just the people from the local area. Black and red writing, floor to ceiling. Name after name after name. It’s an incredible remembrance to the people who died. It’s also one of the few memorials I’ve ever been to that every single person was being nearly silent out of respect. It is that powerful. I sobbed. So did many people around me. It was worth it. Go sit with it and allow it to sink into your soul. On a brighter note, if you’re visiting the castle (which pretty much everyone is), you must stop into the Toy Museum. It’s in a little nondescript building inside the castle compound grounds. Most people walk right on by. But up two flights of stairs is room after room of amazing toys spanning from Ancient Greece until today. It’s the second largest collection of toys in the world and it’s absolutely fascinating. Rooms full of barbies and holiday toys, cases of teddy bears and robots, toy trains, and tons of antique wood and metal toys. I felt nostalgic for eras I never even experienced. I saw my own childhood toys as well. It was a pleasant reprieve from the busy castle grounds. There are a lot of places to see Prague from above, but we most enjoyed the Old Town Bridge Tower at sunset on our last evening. It wasn’t crowded and it overlooks Charles Bridge. I think people get so focused on the bridge itself that they don’t realize they can climb the tower for a few euro. It’s a bit of a tight squeeze at the top, but it’s worth it. The height of the tower creates a quiet separation between you and the hustle and bustle below. We loved looking down over the city as the sun set. Prague absolutely must be seen from above, perhaps more than any city I’ve every been to. And the Old Town Bridge Tower gives a great perspective. Afterward, you can walk down Charles bridge and listen to the buskers and then grab a pint of cheap Pilsner at a local pub. Prague feels like such an old city. From what our bike tour guide told us, Prague, the city at least, escaped mostly unharmed after WWII (the people, on the other hand…see above). So the whole city still has an amazing “oldness” about it. But there are interesting, more modern bits sprinkled throughout. My favorite was stopping by the John Lennon Wall. Which is basically a long wall that the owners (the Knights of Malta) allow to be covered in peace and love street art. Since we saw it, it had been painted over entirely white by some students, but the next day it was already being covered with new graffiti, poetry, and art. It’s one of those strange things that you run across while walking the back streets of a city that make you go “woah.” And no matter how many times you go, it’ll be different every time you see it, which is really neat. 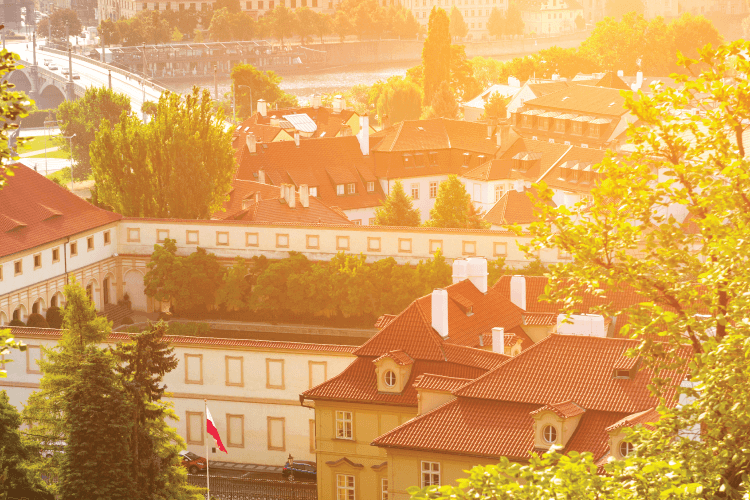 Have you done any of these hidden gems of Prague? Or do you have different favorites? It’s definitely one of my favorite cities in the world, and I hope you get a chance to visit someday.